Please meet Lovely Lola! 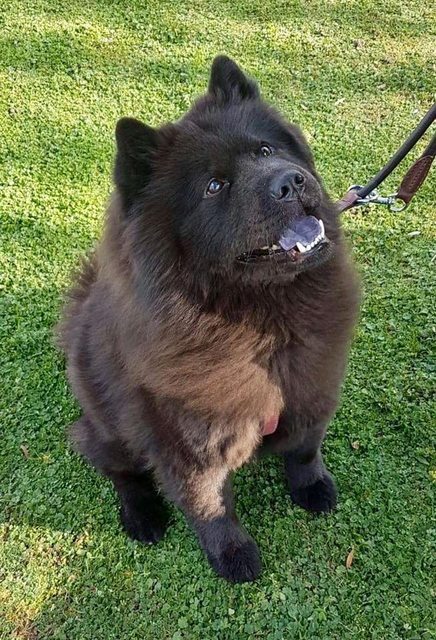 Lola is a gorgeous 5 year old Chow Chow, Sadly Lola joined us when her owner was unable to look after her anymore. Is Lola the right dog for you? The Chow combines the nobility of a lion, the drollness of a panda, the appeal of a teddy bear, the grace and independence of a cat, and the loyalty and devotion of a dog, dignified and aloof, not really fond of being hugged or fussed over, but a quiet, attentive companion to her favorite person, and her loyalty extends to other family members. This is a highly territorial and protective breed, who’ll give a clear warning to anyone approaching without his person’s welcome. 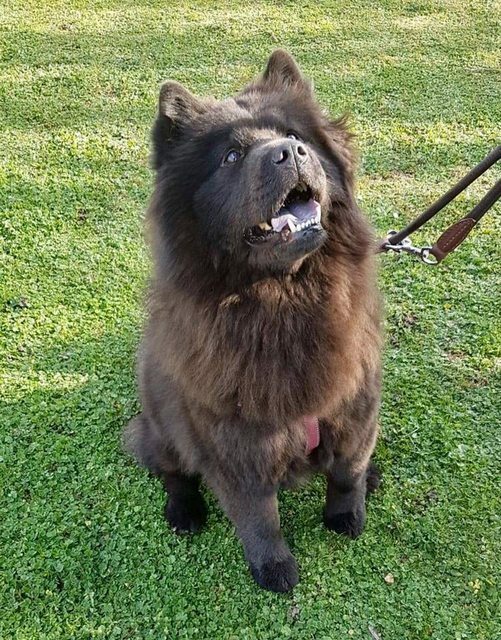 Chow Chows are very independent and aloof, and they need an owner who appreciates those traits but won’t let the dog take over. Chow Chows may bond with just one person or to their immediate family. They’re suspicious of strangers. 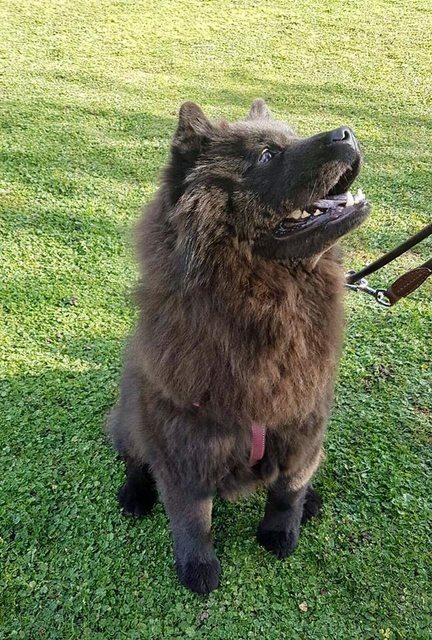 Chows need to be brushed two or three times a week to keep their coat in good condition. Chows need daily exercise. 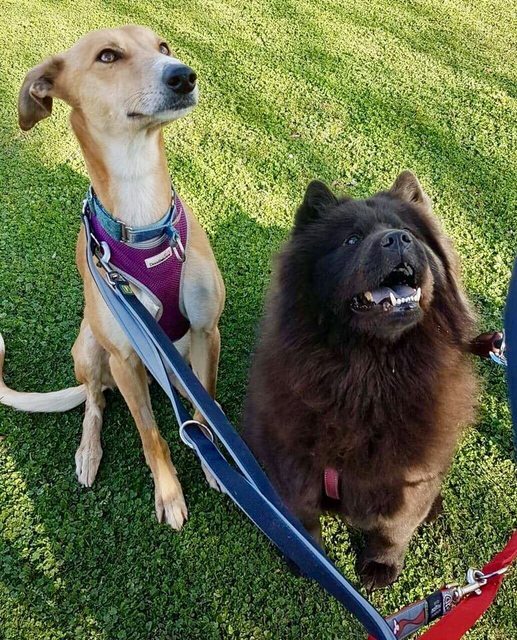 The Chow Chow has limited peripheral vision; it’s best to approach from the front. Some compare the Chow Chow’s disposition to that of a cat: aloof, reserved, independent, dignified, intelligent, and stubborn. Chows tend to mind their own business and don’t usually start trouble. They’ll play with their people, but strangers are of no interest to them unless they’re approaching the Chow’s home without invitation from his owner — in which case he’ll challenge the trespasser. He will, however, let strangers touch him if introduced by one of his owners. Lola is quite the regal little girl, she walks beautifully on the lead, nose down sniffing everything in sight!! 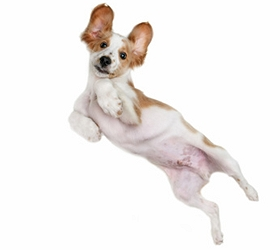 She is house trained, she loves her food and walks, and her home comforts is a must for her! Lola is a gentle little soul, she is a darling with not a bad bone in her body. She loves other dogs on her terms but can be bossy so would be best as the only dog. She is very much a little shadow, follows me everywhere and loves to snuggle up on the bed with me at night time. She is not destructive at all and is quite content being left for short periods.Lola travels perfectly in the car, however likes to argue when getting in as she doesn’t really like being lifted – because it almost always leads to an adventure! This lovely girl would make a fantastic addition to any family as she is a lovely cuddly loyal companion. Due to her stubborn nature, we are looking for an adult only home for her that has breed experience – THIS IS A MUST!! She also needs someone that is home a lot as she isn’t a huge fan of being left, however she does settle after a few minutes of barking, and is non destructive. Lola is not cat friendly. Lola is spayed, and chipped, fully vaccinated she is flea and wormed. Could you give this beautiful girl the happy ever after she deserves?